The Slater School District at 515 N. Elm Slater, MO 65349-1405, is requesting Qualified Providers to propose innovative solutions and energy conservation measures through a guaranteed savings contract on a performance contracting and construction management basis. These proposals may include, but are not limited to, implementation of energy equipment; repair, modernization, maintenance services at various locations utilizing a Guaranteed Energy Savings Contract as defined by the State of Missouri RSMo 8.231. The District’s objective in issuing this Request for Proposals is to provide a competitive means in which to select a single Qualified Provider with whom to negotiate a final contract. The District may elect to implement further improvement measures in phases pursuant to the RFP. Any further recommendations for the District will be considered. Proposals shall be received in the office of: Mrs. Debbie Gonzalez, Superintendent, Slater. 515 N. Elm Slater, MO 65349-1405. Deadline for Proposals: September 12, 2017 at 2:00 PM CST, NO EXTENSIONS WILL BE GRANTED. Please provide 5 sealed copies of the proposals. 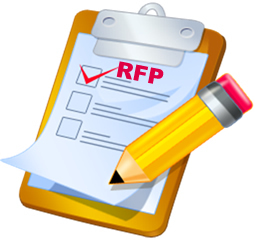 A copy of the Request for Proposal (RFP) specification can be obtained from the Administration Building Office at 515 N. Elm Slater, MO 65349-1405. For questions concerning the RFP or site visits, please make arrangements with the Superintendent, Mrs. Debbie Gonzalez at 660-529-2278.